The Sea Holly flowers on this plant are dying off but they are usually burr-shaped and metallic blue. 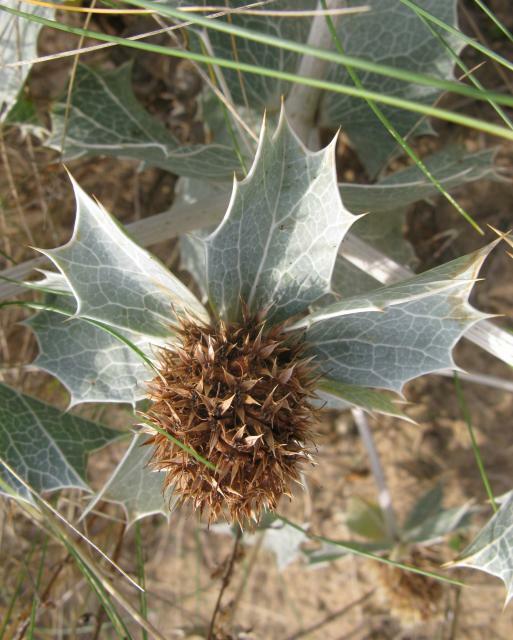 The leaves are spiny and have a thick outer cuticle to protect against the sea spray and water loss. It can be found on sand dunes. Picture taken at Holkam Sands, Norfolk 22nd September 2010.